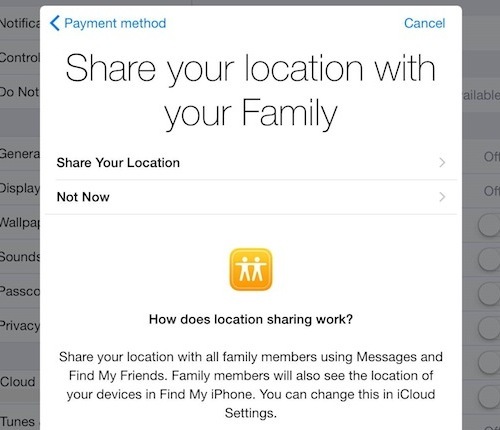 Family Sharing, a new feature on iOS 8, allows users to create a private network of up to six people with whom they can share app purchases, books, music, podcasts, locations, photos, and calendars easily. This benefits families—hence the name—by allowing shared and moderated media to prevent the need for multiple purchases of the same item. It also includes a system through which reminders for appointments and events can be sent to keep everyone in a family connected. While this technology is still largely unexplored by most, Family Sharing can be a great way to guarantee fun, shared experiences, as well as a method of saving money. Families of up to six people share purchased items from the Apple store, including apps, books, music, videos, and podcasts. For example, when one person in the group buys a song, the other five can then download and listen to it at no extra cost. 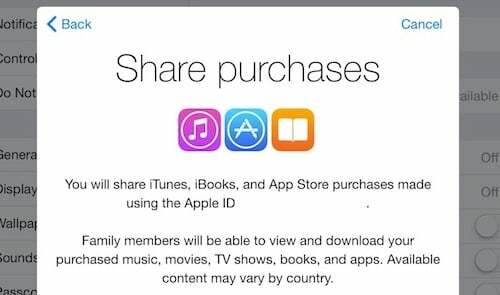 It is as simple as signing into an iTunes account and clicking "Purchased," which shows what is available for download from each member of the family. Purchases can also be hidden from the rest of the members of the network if you would rather someone not have access to a specific piece of content. The setup for Family Sharing was designed to be as easy to use as possible and with minimal installation steps. It is intended to be hassle-free. 1. First choose a Family Organizer. This is the person who sets up Family Sharing and assigns his or her payment card to the group account. It is important to know that once you have assigned a payment card and joined a family, the assigned card pays for every purchase. To keep members from arbitrarily purchasing media, however, there is an "Ask to Buy" feature that holds purchases until the Family Organizer approves them. 2. Next, upgrade to iCloud Drive. You can find this by going to Settings > iCloud > iCloud Drive. This process can take a few minutes to complete. 3. Click on "Set Up Family Sharing." 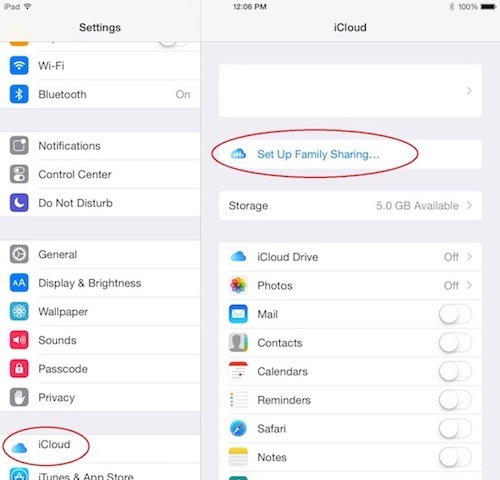 Once the iCloud Drive upgrade is finished, go back to Settings > iCloud, and you will see the link that says, "Set Up Family Sharing." 4. Confirm sharing, which states that media purchased on this account can be shared with the other five people on the network. 5. Confirm payment. This is an agreement that purchases will be paid for using the associated card on the account. Again, this is a valid payment card that will be charged for everything. 6. Share locations. Each member in the Family Sharing network can share his or her location with those on the network. 7. Finally, add some family members to the network. People are invited using the email address connected to their iCloud account. 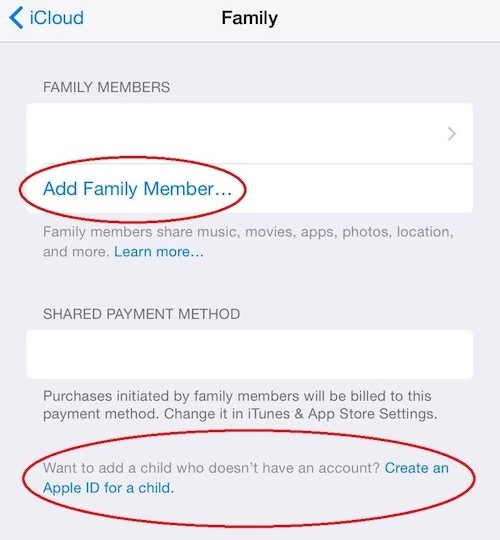 To add children who don't have an Apple account, there is a link called, "Create an Apple ID for a child." 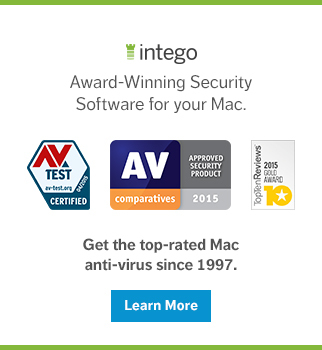 This allows the Family Organizer to setup extra security for the children to prevent unauthorized content or purchases. An invite is sent direct to their device, or they can choose to enter an assigned PIN. Sync Up Your Lives – older children and parents can sometimes feel like ships passing in the night. Due to school, work, sports, church and other activities, parents and kids can sometime miss each other and feel a little disconnected. Family Sharing lets family members check in with one another, sharing locations for informational and security purposes while also creating reminders and events on the calendar. This can help everyone feel more secure, knowing that even though they are not together for a little while, they are still connected and up to date with what each person is doing. Simple Monitoring – Family Sharing allows each member to locate each other through their devices, which can ensure parents know where their children are throughout the day. Furthermore, technology has made buying content easier, which is concerning considering how many children have access to their parents' iPhones. The "Ask to Buy" feature is incredibly helpful, requiring parents' approval before a purchase can be made and content downloaded. Another helpful feature is the ability of the Family Organizer to put parental controls in place regarding what kind of online content children can access. The "Restrictions" setting makes it easy for parents to monitor what online content their children are exposed to and ensure proper tech safety. 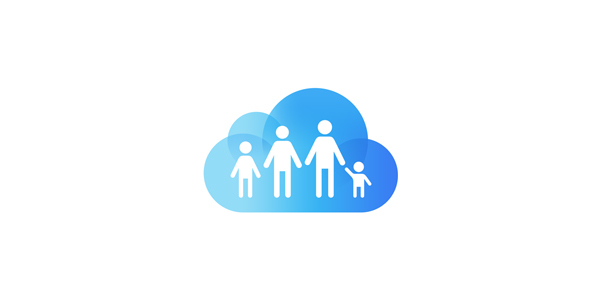 There are still a few kinks, but for families with multiple iOS 8 devices, Family Sharing is expected to be very helpful and useful in running everyday family life, especially if members are abroad. Since it comes pre-packaged with iOS 8, trying it won't cost anything but a little bit of your time! 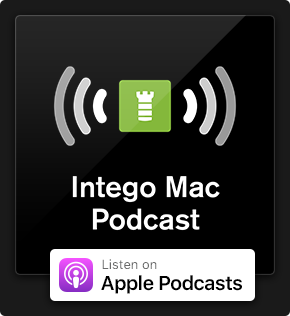 This entry was posted in How To, Software & Apps and tagged Apple, Family Sharing, Internet safety, iOS 8, parental controls, tech safety, technology. Bookmark the permalink.